This was an interesting commercial project with the design team seeking to maximise the potential of this small, enclosed site in Westminster. The result is a building form that sits comfortably within its location which retains a subtle illuminated presence at night. 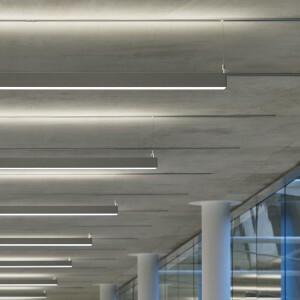 Internally, special office lighting treatments using circular fittings integrated into concrete soffits are located at Ground and Top Floor levels. 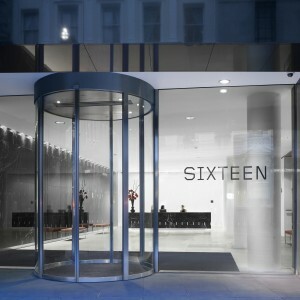 Related lighting treatments occur in areas such as the Main Reception providing a simple visual continuity across the The Charlotte Building interior.